> Is this the upcoming Audi R8? Is this the upcoming Audi R8? 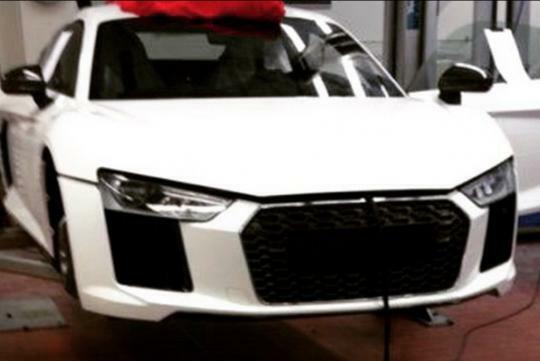 According to Instagram user 'dreboog', what you see here might be the new Audi R8. In his post, he mentions that the scoop was from an anonymous Audi insider that had access to the car. Set to be officially revealed at next month's Geneva Motor Show, it is likely the above photo is the real deal and not some well executed new body kit job. Don’t believe? You might want to look at some of the spy videos of the upcoming R8 going through the Nürburgring and spot the similar design cues!